We have made arrangements with Rosenblums' World of Judaica in Chicago to supply us with Lulav and Etrog Sets again this year. We used them last year and were very pleased with their quality, service, and pricing. 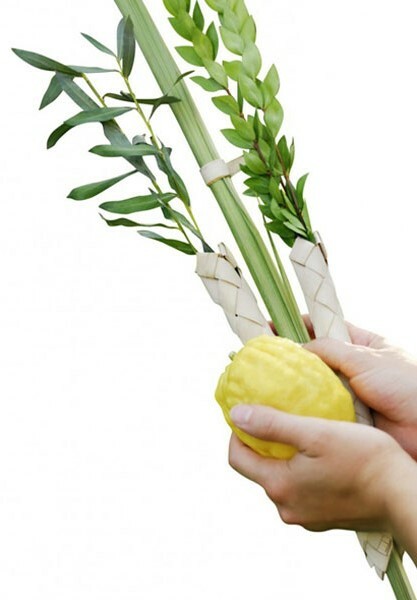 The price for a Lulav and Etrog Set is the same as last year: $55 for their standard quality or $65 for a better quality. This includes a small markup just to cover our costs related to Lulavim and Etrogim, including additional sets for the shul for guests, shipping expense, and Aravot for Hoshana Raba. Please place your order by completing and submitting the form below. We expect delivery by Tuesday, September 18, the day before Yom Kippur. They will be available for pick up at the shul after Yom Kippur starting Thursday, September 20. The first day of Sukkot this year is Monday, September 24. Mark "Lulav" in the Memo section of your check and ensure it is received by the Friday before Rosh Hashana, September 7th. If paying by credit card, your order must be placed and paid for by credit card no later than Wednesday, September 12th, the day after Rosh Hashana. No order will be placed unless payment is received by the due date. If you have any questions, feel free to contact Offer Shavit at 512-750-3736 or by email at offer.shavit@prodigy.net. This form closed on 2018-09-12 12:00:00.